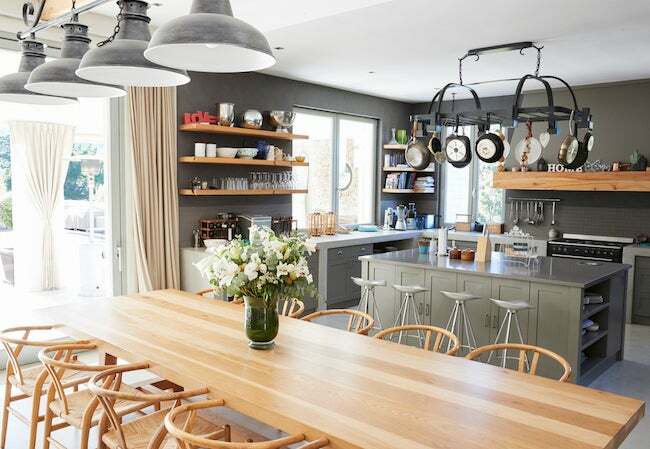 The kitchen table is the hub of the home, serving as a family gathering spot for more than just dining. But many models come at a pretty steep price, and an upgrade can turn into a substantial investment. 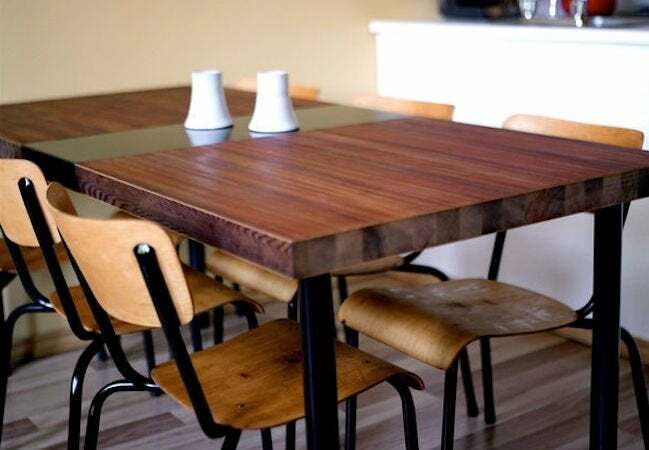 With a little elbow grease, ingenuity, and inspiration from these surprisingly easy DIY kitchen tables, you can craft one of your own for a fraction of the cost of a new purchase. 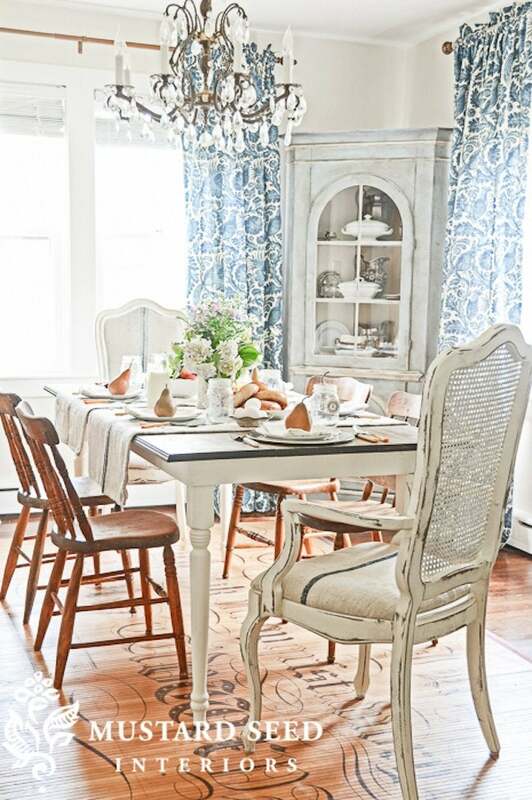 An octagonal pedestal table is ideal for the homeowner who loves to entertain. 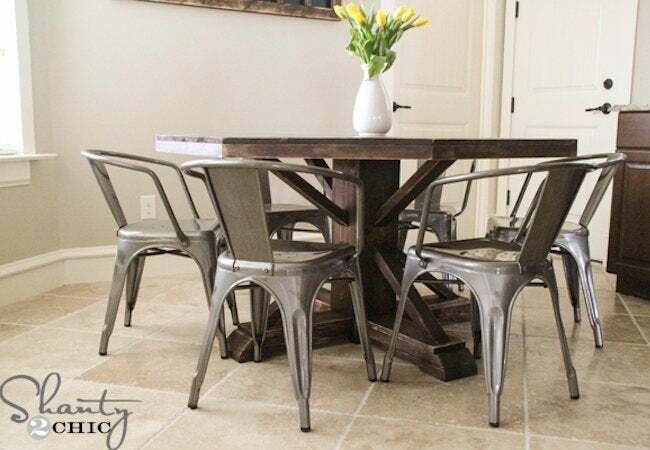 With angles that allow for seating to be added or taken away at a moment’s notice and an unusual shape that adds a punch of style, this DIY kitchen table is far from basic. The best part? It can be built without pro woodworking skills. Visit Shanty 2 Chic to see how you can easily craft a version of your own. 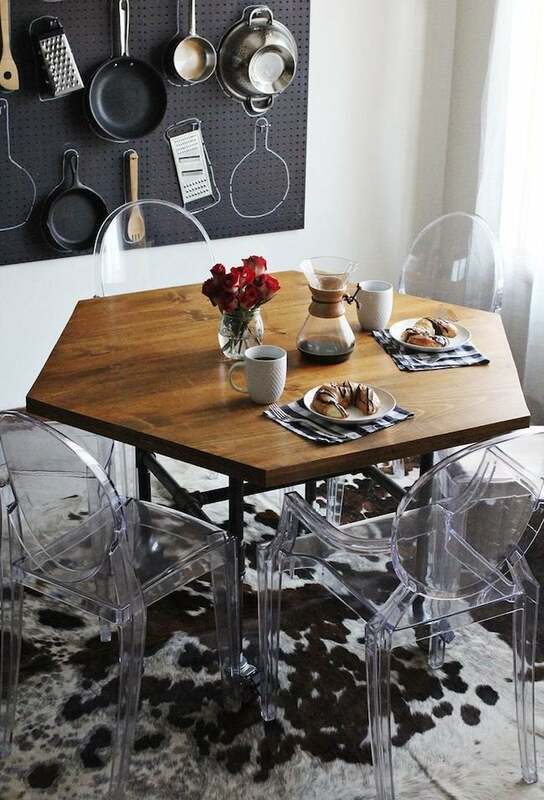 If you’re hoping to build your own kitchen table but aren’t convinced you can do so from scratch, then this ingenious IKEA hack is the perfect project for you. It requires neither fancy tools nor special cuts. Simply attach a new top of 2x8s to a standard IKEA pine table, then stain or distress the wood to suit your style. 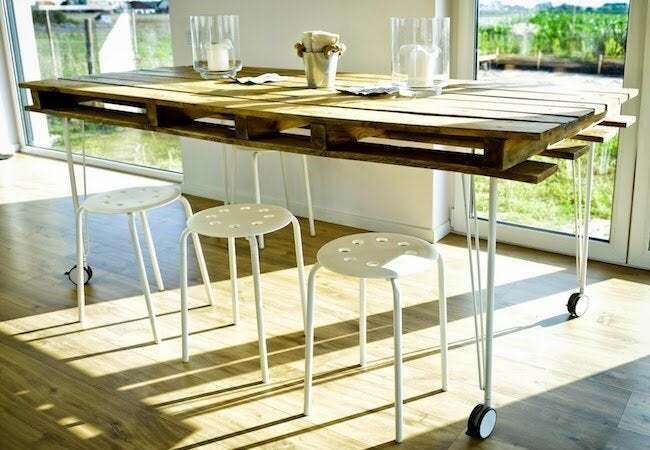 Inside or out, the simple X-leg picnic table has an elegantly modern appeal. The 45-degree mitered angles are as complicated as this DIY gets, making it well suited for a beginning woodworker. 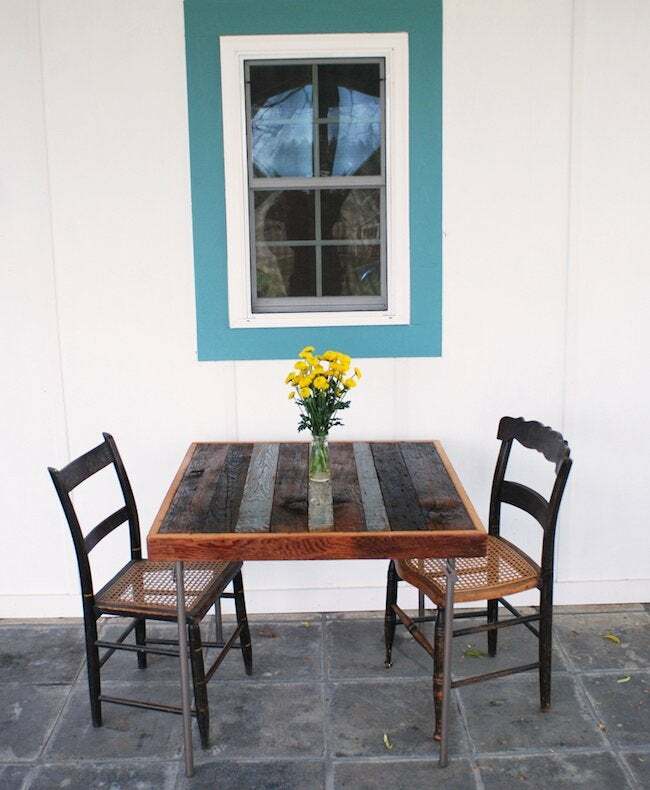 Get started on your own rendition to grace the kitchen, porch, or patio. 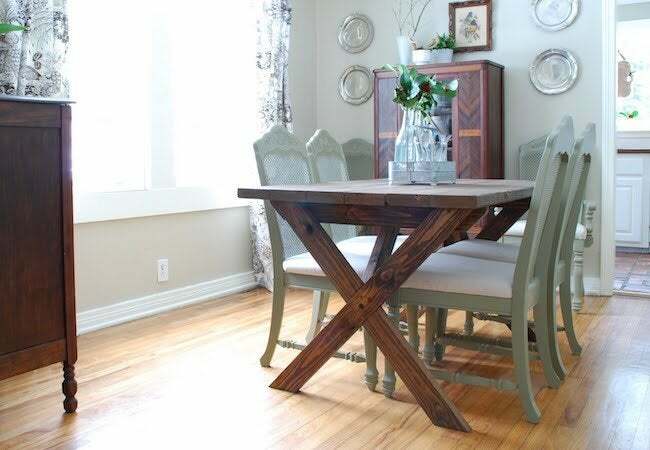 One large pallet provided the inspiration for this DIY dining table. Extra boards glued to the tabletop fill in the gaps, and hairpin legs, screwed into the wood, sit on casters for mobility. The finished product is rustic with a modern flair, extremely functional and easy to replicate. The only thing better than buying furniture new is the satisfaction of making it yourself from materials you already have on hand or can find for next to nothing. 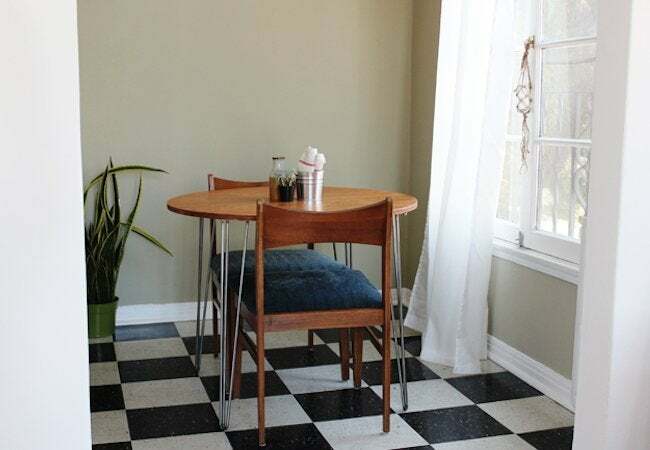 This great-looking kitchen table spent its former days as a door, but after being stripped, sanded, and stained, it now lives on as an inexpensive small-space gathering spot. 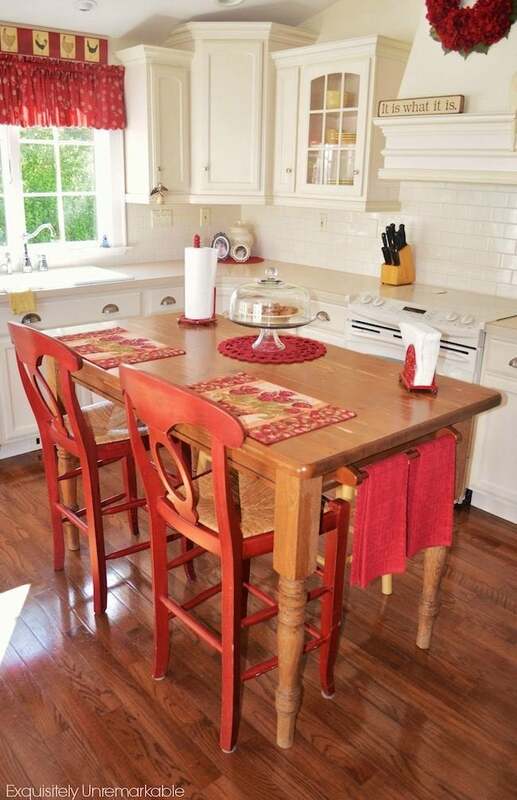 There are plenty of advantages to building your own kitchen table, but the cheaper cost sits near the top of the list. This pipe-legged DIY comes in at around $250—a huge discount when compared with similar store-bought options that showcase industrial design. Another plus is that doing it yourself lets you customize the table to suit your needs. Emma from A Beautiful Mess, for example, added casters to make her table easy to move. Build your own version using her instructions here. 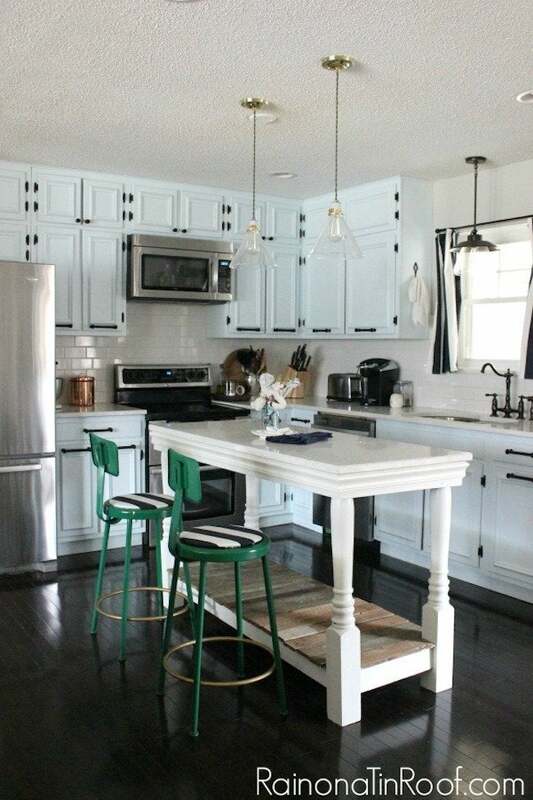 If you don’t have space for both a full-size table and an island, take a page out of Jenna from Rain on a Tin Roof‘s book and build one unit that can serve both functions. Combine a variety of materials to lend the finished product a vintage feel, and add a bottom shelf to create an out-of-the-way spot to stash kitchen necessities. This surprisingly accessible DIY makes itself at home in any small space. Screw modern hairpin legs into a pre-milled 36-inch wood round, and you have a classic table for two that can nestle into any nook with ease. A cozy cafe nook is a wonderful small-space alternative to a traditional dining table. This easy option comes together with a wood board, a set of substantial brackets, and an installation process that’s similar to mounting any thick shelf. 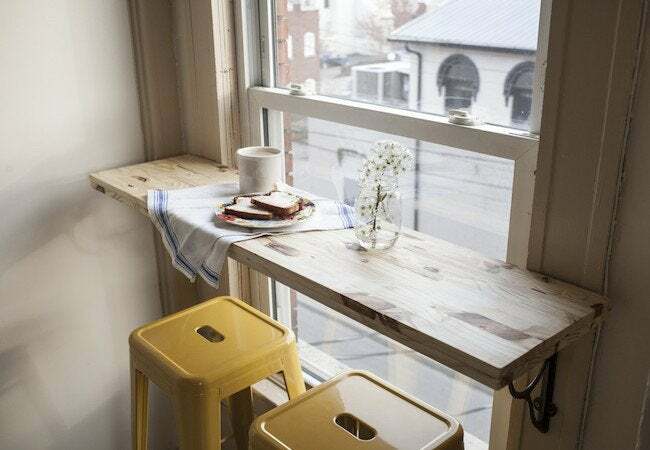 This version sits alongside the window to take in outdoor views, but a nook like this would also work well with a set of stools in any part of a room. Card tables are wonderful for creating extra seating in a flash, but they’re not always an attractive addition to your decor. Make over a spare card table by fashioning a new top from cut and sanded pieces of reclaimed wood, then finish up by building a smooth outer frame with a few mitered boards. Instead of overspending on a store-bought kitchen island, take an old, standard-height table—maybe something that’s been hiding out in storage—to new heights by attaching stair balusters. Not only is this project simple to copy, but the finished product is extremely versatile, enabling you to cook, work, and eat all atop one easy DIY. 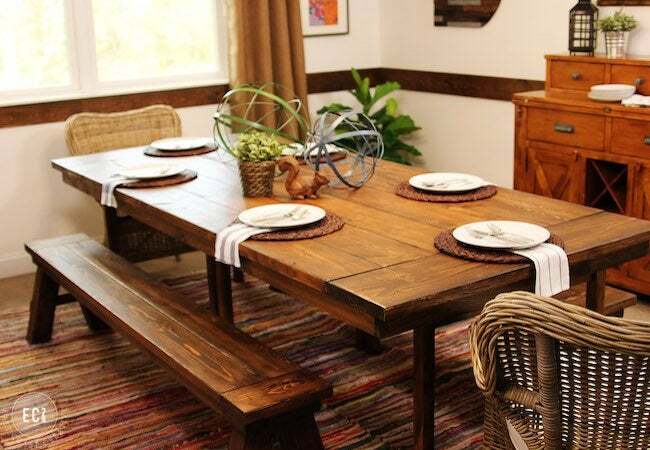 It may be hard to believe, but a drill is the only power tool you’ll need to build this classic farmhouse table for your kitchen or dining room. Armed with the right materials, which include turned legs and self-drilling screws, as well as this tutorial from Miss Mustard Seed, you can achieve a family gathering spot all on your own.